Mens tan leather belt by Charles Smith. 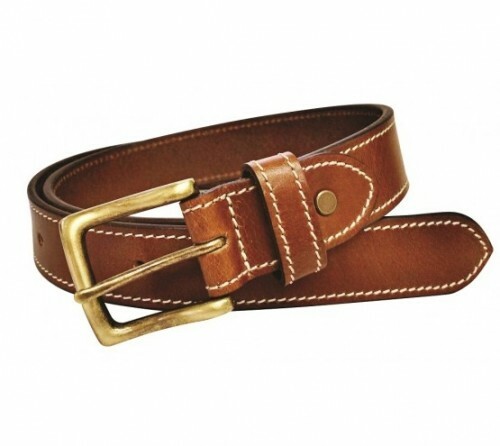 A slim tan leather belt featuring a square brass buckle finished with contrasting cream stitching along the edges and belt loop. Width approx 30mm.